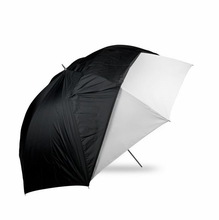 Umbrellas in all sizes and colors for photo lighting and film lighting. 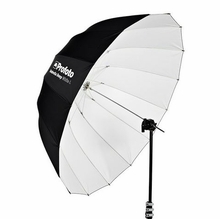 The umbrella is a simple light modifier for diffusing the light source. 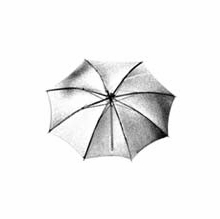 Light can be bounced off of umbrellas for indirect soft light. 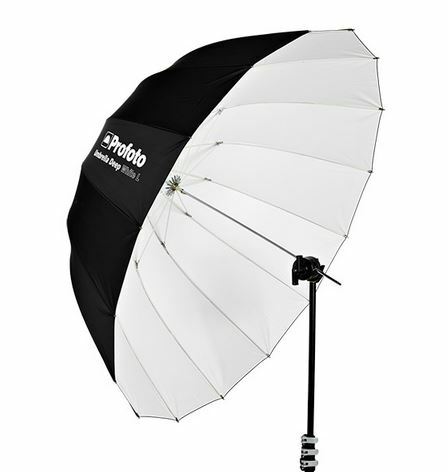 Shoot thru umbrellas provide diffused light with greater output. Available in white and silver as well as sizes from 18" to 7ft. Westcott 43" Optical White Satin w/ Removable Black Cover Collaps.